The project website defines graffiti as "inscriptions that have been incised or scratched into wall-plaster". 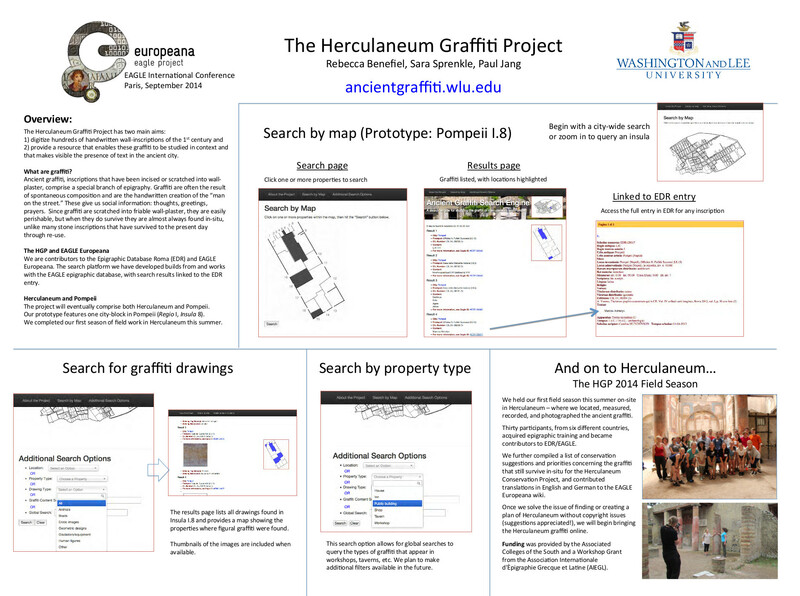 The project digitizes ancient graffiti from the ancient cities of Herculaneum and Pompeii. It aims to provide scholars with a flexible digital tool to search the inscriptions in their spatial context. Thus, the project spans between epigraphy and archaeology. The goal of the project is to include graffiti from both Herculaneum and Pompeii, but at the moment most inscriptions come from the former, while only one block from Pompeii is currently included (Regio I, Insula 8). The project website provides a sophisticated search engine that allows for searches based on the location of the graffiti ("Search by Map"), as well as on its properties, drawing type and content.